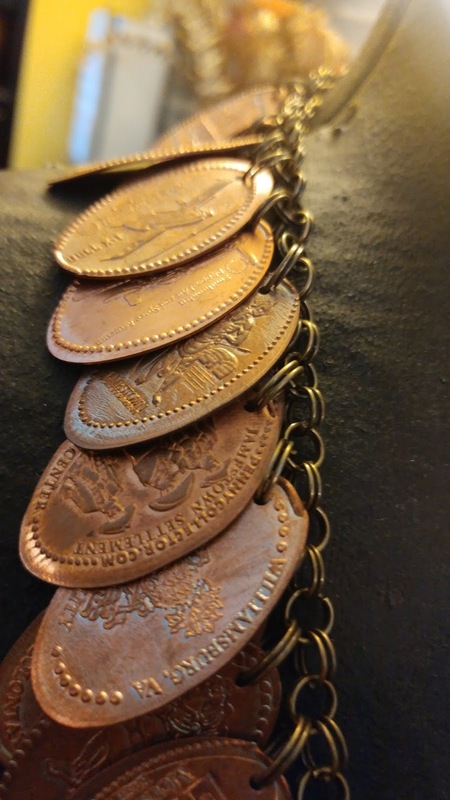 For years my 3 daughter's and myself have collected souvenirs of squished coins. 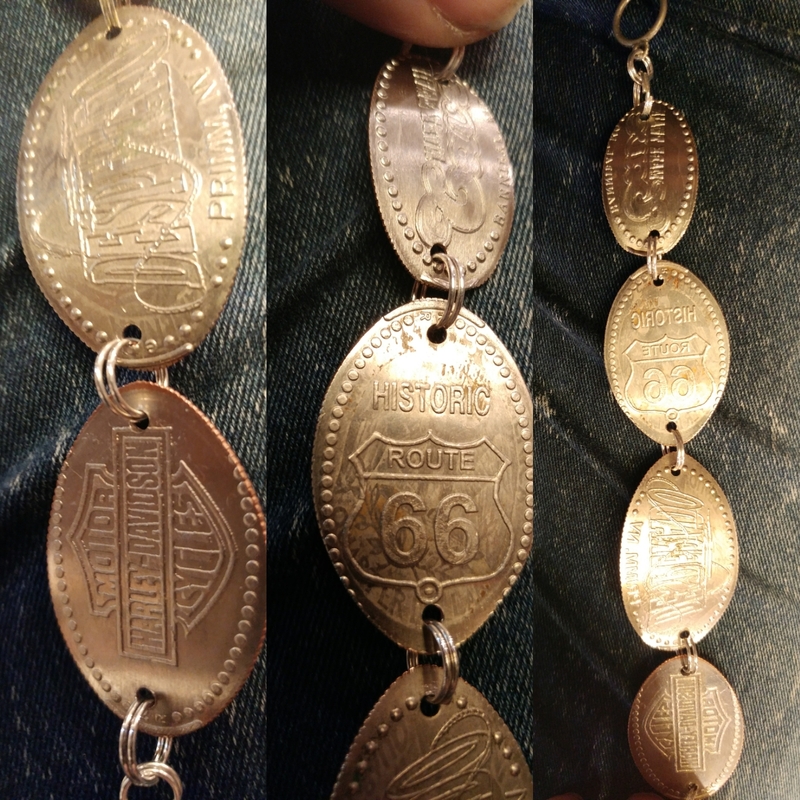 Pennies are the easiest to find. So we had tons of pennies not so many dimes nickels or quarter ones... 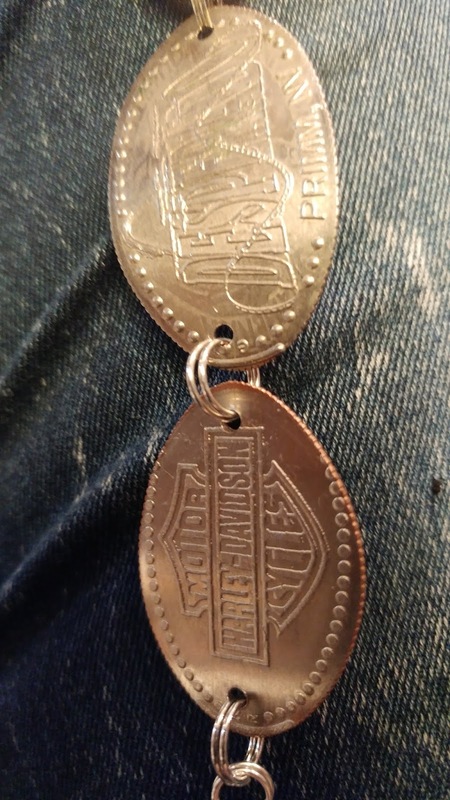 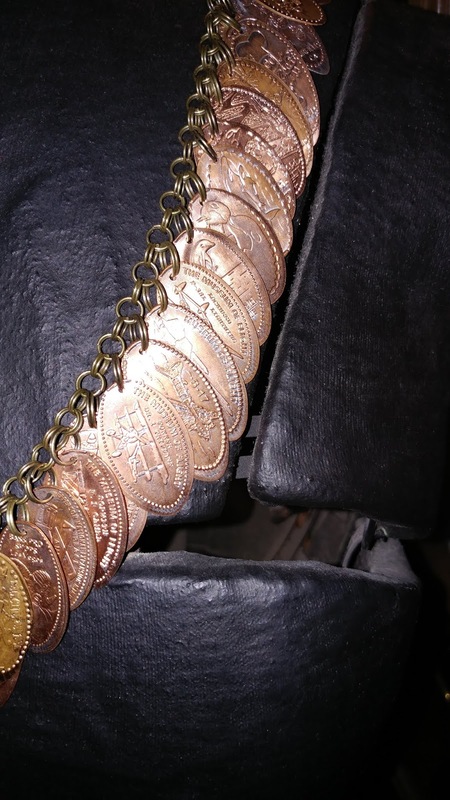 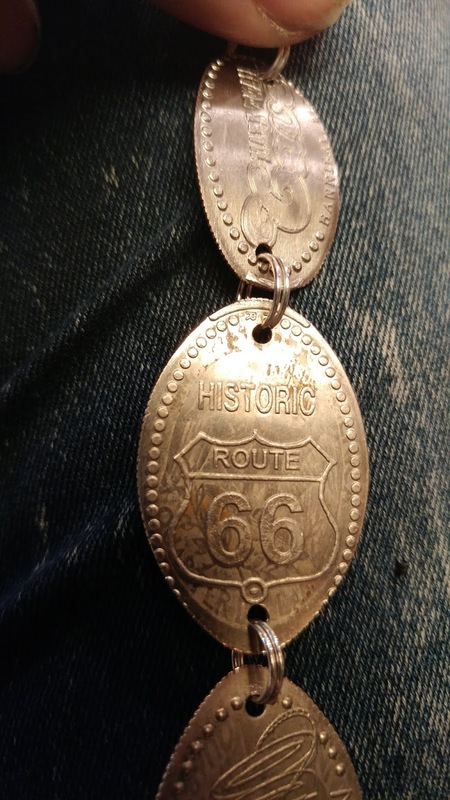 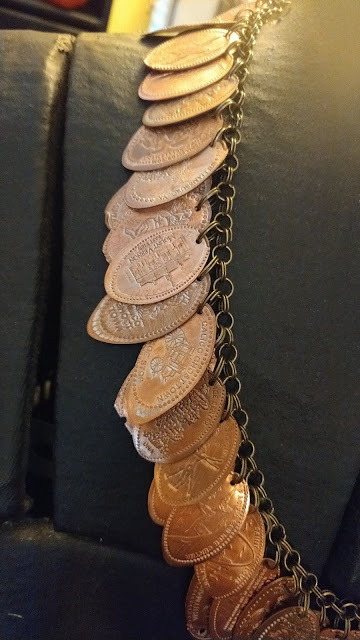 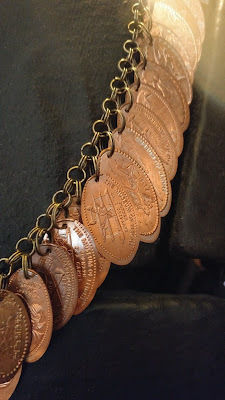 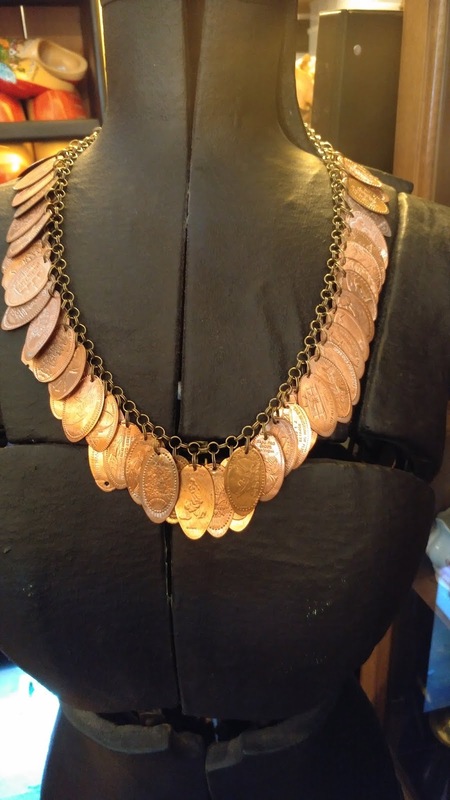 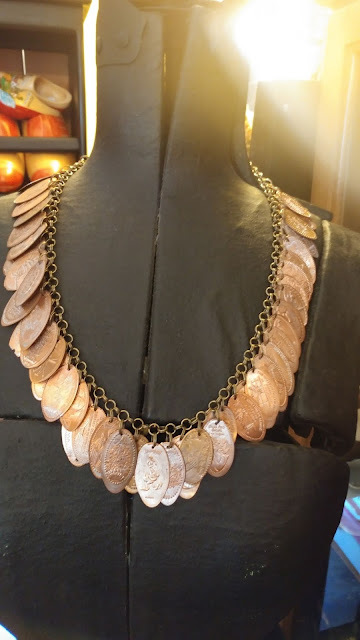 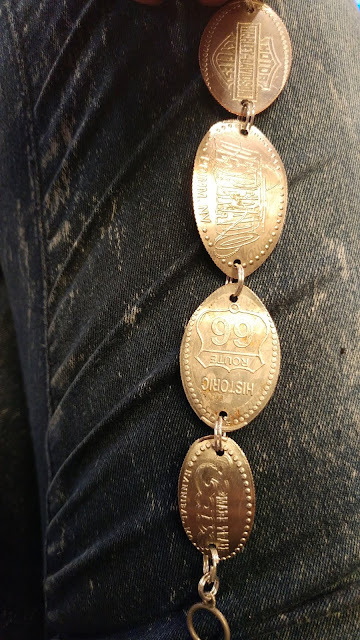 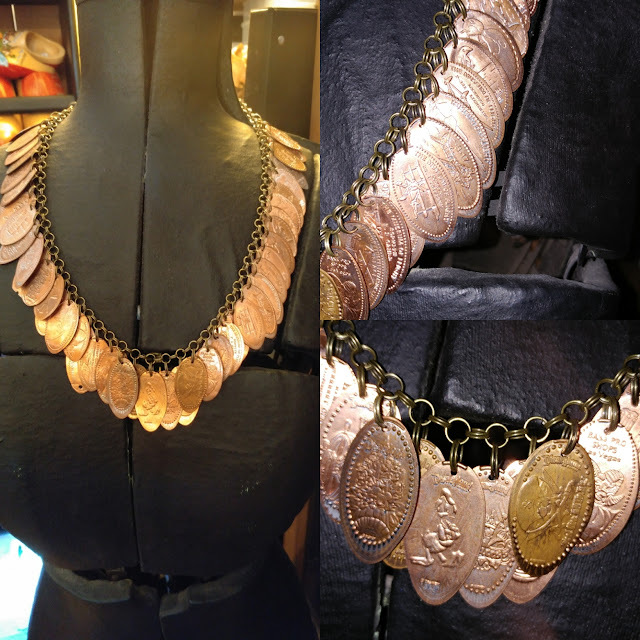 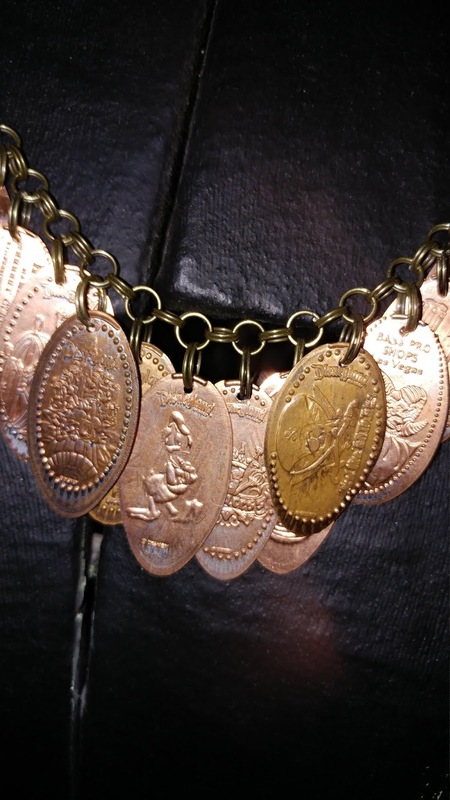 So the pennies made a necklace and the "silver" coins made a bracelet in time the pennies will be enough to make a belt sort of like a belly dancing belt.